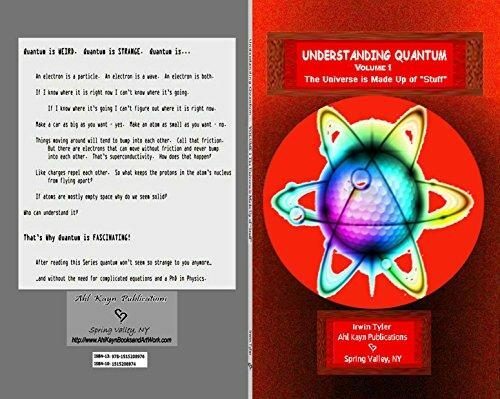 Ahl Kayn Publications, a publishing house based in Spring Valley, New York, launched the Kindle version of the first installment in the Understanding Quantum series. Designed as an accessible guide to quantum theory for non-scientists, Understanding Quantum Volume 1: The Universe is Made Up of Stuff introduces the reader to fascinating subjects such as the nature of time, the basics of quantum theory, relativity and many others. More information can be found at https://www.amazon.com/Understanding-Quantum-Universe-Made-Stuff-ebook/dp/B017N78JYG. Quantum theory is widely regarded as one of the most complex topics to understand for those without a solid background in physics. The new series by Irwin Tyler aims to provide readers with an accessible introduction to quantum theory. The series offers an easy-to-follow explanation of the basic concepts in quantum theory, as well as an overview of the main theories proposed by prominent scientists. The books require no previous background in physics, mathematics or other sciences, being ideal for the non-specialist looking to develop a basic understanding of concepts like relativity, quantum theory, the quantum theory of time, and various others. The first installment – The Universe is Made Up of Stuff – provides the necessary background for the reader to understand these complex subjects, covering the early 20th century scientific inquiries into the nature of the universe, time and matter.